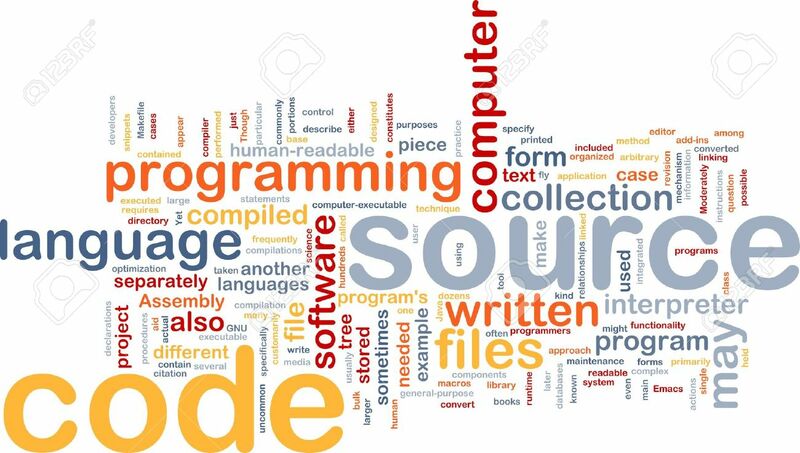 Programming language Source Code is written in plain text, you can open a simple text editor that comes with the operating system on the PC such as Notepad or TextEdit on the Mac, and work well for writing any programming language. and here is one with some Groovy. and yes, Groovy is a language. Now right now don't worry at all about trying to memorize any of these, which come later. Just observe them, Hello, world is the classic example of this simplest program imaginable in any language. So this is a one statement program written in a language called ALGOL 68 and by 68 here I mean 1968 which is when this language was released. ALGOL 68 is not a language you're ever going to need to know, but on the other hand you might want to know Python, so this is a one statement program written in Python 3 released in December 2008. This is a one statement program written in a language called Lua. Yes, this particular statement is the same in all of them and in a few more languages besides. You see many languages share a common history and they are often more alike than they are different. Now just because this statement is the same in these languages does not mean these languages are identical, far from it, but there are often significant similarities between languages. Now, some languages do need a little more than one single statement to be considered a full program. Many languages like to be given explicit starting and ending points. An older version of ALGOL, ALGOL 60, was written in all caps and actually required the words BEGIN an END to mark out your program. Now you might think, okay so am I supposed to remember all of this to write just the simplest program? Well, no, not really.